In order to promote the mutual understanding, cooperation and exchanges in politics, economy, culture, education and trade between China and other countries, the Chinese government has set up a series of scholarship programs to sponsor international students, teachers and scholars to study and conduct research in Chinese universities. China Scholarship Council (hereinafter referred to as CSC), entrusted by the Ministry of Education of People’s Republic of China (hereinafter referred to as MOE), is responsible for the enrollment and administration of Chinese Government Scholarship programs. 279 designated Chinese universities offer a wide variety of academic programs in Science, Engineering, Agriculture, Medicine, Law, Economics, Management, Education, Liberal Arts, Philosophy, History, and Fine Arts for scholarship winners at all levels. Chinese Government Scholarship includes the following 7 programs. Step 4 - Submit all of your application documents to the dispatching authorities before the deadline. CSC will send the admission documents to the dispatching authorities before July 31st. 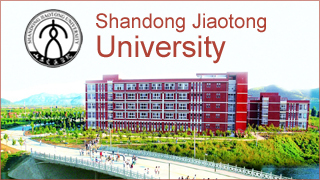 The dispatching authorities will send the admission documents (Admission Letter and Visa Application Form for Study in China (JW201)) to scholarship recipients. There are a total of 279 Chinese universities are approved by MOE to accept Chinese Government Scholarship students. You can download the list here. Each dispatching authority has their code number which is called agency number. It is needed when you apply online. Here we have collected most of agency numbers for your convenience. Others you’d better contact your dispatching authority directly. 8.Foreigner Physical Examination Form (photocopy), (written in English, only required for applicants planning to stay in China for more than 6 months, can be downloaded from http://www.csc.edu.cn/laihua; The physical examinations must cover all of the items listed in the Foreigner Physical Examination Form. Incomplete forms or forms without the signature of the attending physician, or the official stamp of the hospital, or a sealed photograph of the applicant are considered as invalid. Please carefully plan your physical examination schedule as the result is valid for only 6 months. 10. The copy of HSK Certificate (if available). All documents should be bound together on top left corner in the order of 6.1 to 6.10. Chinese Government Scholarship covers both major study and Chinese language/ preparatory study. The table below illustrates the duration of each category. Undergraduate scholarship winners must register for Chinese-taught credit courses. They are required to take one-year Chinese language/preparatory courses in one of the nine universities listed below and to pass the required test before moving on to their major studies. Entrusted by MOE, the following 9 universities offer Chinese language/preparatory courses to undergraduate scholarship winners. They are Tianjin University, Nanjing Normal University, Shandong University, Central China Normal University, Tongji University, Beijing Language and Culture University, Northeast Normal University, Beijing International Studies University, and Capital Normal University. →complete their secondary education in Chinese. →have valid HSK certificate that meets the requirements of the host university. Official documents from secondary schools or a photocopy of valid HSK certificate must be submitted for preparatory course exemption application. Please NOTE that HSK results are valid for 2 years only. 2. Instruction language for graduate students and non-degree students. Graduate and non-degree scholarship students can register for either Chinese-taught program or English-taught program if applicable. Program Search can help you find your interested program and university. →Scholarship recipients of Chinese-taught programs without adequate Chinese proficiency must take Chinese language courses for one to two years to reach the language requirements of their host universities before moving on to their major studies. Failure to reach the required language proficiency will lead to the automatic termination of scholarship. Chinese language courses will be one year for majors in Science, Engineering, Agriculture, West Medicine, Economics, Management, Law and Fine Arts, and be no more than two years for majors in Liberal Arts, History, Philosophy and Chinese Medicine. →Scholarship recipients of English-taught programs or those with adequate Chinese language proficiency do not need to take Chinese language courses. Field of Study I includes Economics, Management, Law, Education, Liberal Arts, History, and Philosophy; II includes Science, Engineering, and Agriculture; III includes Fine Arts and Medicine. 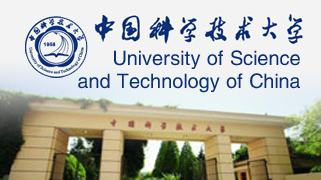 doctoral students/senior scholars: CNY 1000 per month. doctoral students / senior scholars: CNY 3,500 per month. Within the scholarship duration, registered scholarship students will receive stipend from their host university month by month. Students registering before the 15th of the month (the 15th included) will receive full stipend of that month. Those who register after the 15th of the month will receive half stipend of that month. If registered student stays out of China for more than 15 days (school holidays excluded), his stipend will be stopped during his leaving. Please refer to Comprehensive Insurance & Protection Scheme for Foreigners Staying in China for insurance policy. One or some items of the full scholarship.